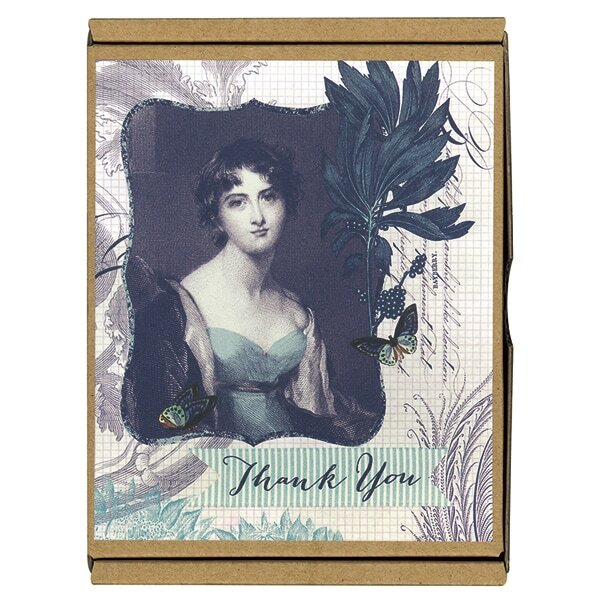 This Edwardian lady conveys her most sincere thanks on these cards from San Sebastian-born artist Macrina Busato, a former museum worker and archaeologist whose love of old books, engravings, and vintage textiles inspire her collages. Let your friends and relatives know that you not only appreciate their gift, but that you also appreciate the earth we all share, with these GreenThanks environmentally friendly cards. Blank inside, they measure 4 × 5 inches—leaving plenty of space for you to write whatever you feel—and are packaged with envelopes in a simple, sturdy cardboard box.